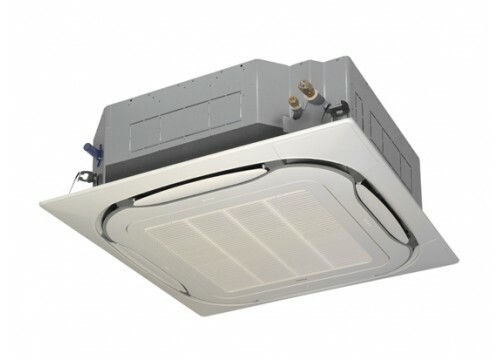 Daikin’s unique 360° Roundflow cassette, re-engineered. The Roundflow cassette meets Energy Related Products Directive minimum efficiency standards for Seasonal Efficiency, and has a slim install height designed for restricted space in suspended ceilings. The Roundflow cassette has 23 different air flow settings for uniform airflow and temperature distribution, while the presence and floor sensors can detect people and adjust temperature and airflow direction to ensure comfort in offices and meeting rooms. Energy savings can be made using the remote controller which gives control over set-point ranges and day-to-day use of controls.